What did you think of The Royal Ballet's latest mixed programme featuring works by Kim Brandstrup, Liam Scarlett and Christopher Wheeldon? Loved #ROHage, each character their own and dancing their own story. Great cast chemistry. Kept me guessing the whole way through. I was never *not* gonna like a ballet with handsome sailors, sexual tension and booze, but #rohage was outrageously fantastic. #ROHage Loved it. Like a Hopper painting brought to life. #rohinnocence is like seeing a novel with fluid movements and deep emotions. Amazing projection and lighting too. So #ROHInnocence is the wannabe DonGiovanni of ballet, lots of projections, little dancing. Superb projections in @TheRoyalBallet #ceremony and outstanding designs by JM Puissant in #Aeternum; #Britten wonderful. #unsung heroes. @MNunezOfficial once again exceptionally beautiful and haunting in Aeternum, still just as powerful the second time around. Speechless. What did you think of Ceremony of Innocence / The Age of Anxiety / Aeternum? 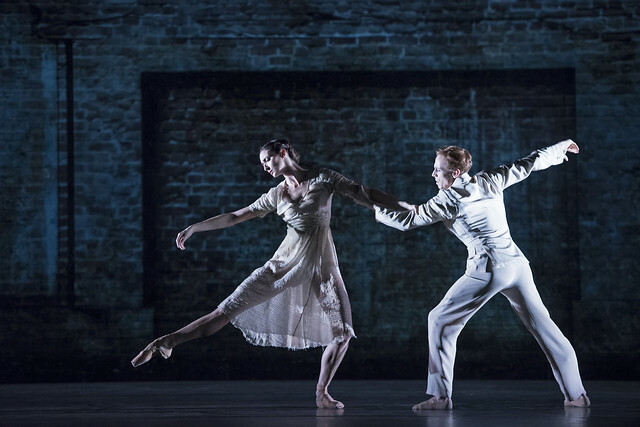 The Royal Ballet's mixed programme of Ceremony of Innocence, The Age of Anxiety and Aeternum and runs from 7–17 November 2014. Tickets are still available. The programme is given with generous philanthropic support from Richard and Delia Baker (Ceremony of Innocence) Simon and Virginia Robertson, Kenneth and Susan Green, Karl and Holly Peterson, The Age of Anxiety Production Syndicate, the Friends of Covent Garden and an anonymous donor (The Age of Anxiety) and The Royal Opera House Endowment Fund. I was blown away by the Ceremony of Innocence, a wonderful piece of dance theatre that has depth and nuance. I found it far more thought provoking than the Age of Anxiety which struck me as a more contemporary version of Fancy Free, but without Robbins' theatrical flair, comedy or ability to structure a piece; like other ballets by Scarlett it went on too long. I enjoyed Aeternum more than previously and Calvert and Nunez were stunning in it. What all the ballets shared was too little light, making it hard to see the dancers. I wouldn't have understood the ballets if I'd not read the programme. Just a brief couple of sentences for each one on the cast sheet would help members of the audience who haven't time to read the programme before the performance or who can't afford it. Low lighting levels and a lack of understanding of what constitutes effective costume and set design in ballet marred these performances.for me. As with many new works, particularly those by Wayne McGregor, Ceremony of Innocence and Aeternum seem to have been made to be seen from the stalls rather than from the whole house. I saw this triple bill on both Thursday and Friday evenings, and thought the performances were amazing with both casts. I was in the orchestra stalls, so I had no complaints about the lighting, but I can easily understand that the lighting may have been too poor for further removed seats. Ceremony of Innocence was thought provoking, on the passage of time and growing older, remembering lost youth. 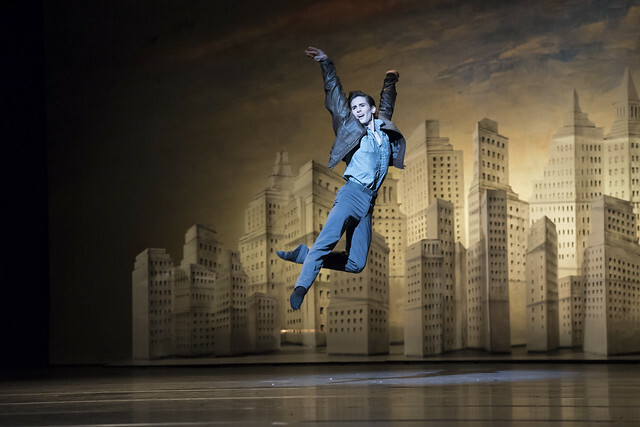 Both Paul Kay and Marcelino Sambe were excellent in the same role, and I feel pleased that we are seeing more of those well deserved rising stars in the Royal Ballet. Age of Anxiety was a wonderful piece!! It was well conceived and brought together, and I loved the sexual ambiguity of the male dancers - something which would have been very risque at the time when W.H.Auden wrote his poem of this 'scenario'. Finally, compliments on the stage sets and lighting. Aeternum was perhaps the piece I found least 'memorable' despite the presence of many Principal Dancers in it - Marianela Nunez, Federico Bonelli, Nehemiah Kish all were excellent on Friday evening, but the piece seemed lifeless on both evenings in comparison to the two others on the mixed bill. Great to see Nehemiah return to the ROH stage! In conclusion, these two performances were a showcase for the great potential of some of the rising dancers of Royal Ballet. In particular the amazing precision, agility and stamina of Marcelino Sambe who excelled. Also wonderful performances by Tristan Dyer, Alexander Campbell, Paul Kay.